Today’s education news review includes coverage on term time holidays, the pupil premium and an Islamic independent school in Birmingham. Following a recent High Court ruling on term time holidays, a survey by travel insurance company, Esure, has suggested that 65% of parents are confused about whether or not they are allowed to take children on holiday during term time. It found that one in five families said they are intending to take a break outside the school holidays, despite the risk of a £120 fine per child. The story was covered by the Times, Daily Mail, Metro and Star today. The authors point out that the Department of Education is supporting the Isle of White to appeal and the Schools Minister has written to schools to tell them to continue to follow the current guidance. To put this in context, an attendance record of 90% over the course of an academic year is equivalent to 19 school days – almost a month - missed from school. Over the course of a child’s school career that amounts to a whole year of their education being lost. We are clear - children should not be taken out of school during term except in exceptional circumstances. There should be no confusion on this point. We know the recent High Court judgment has created some uncertainty for parents, which is why it is essential that the ruling is clarified through the appeal. The evidence shows that every extra day of school missed can affect a pupil’s chance of gaining good GCSEs which has a lasting effect on their life chances. 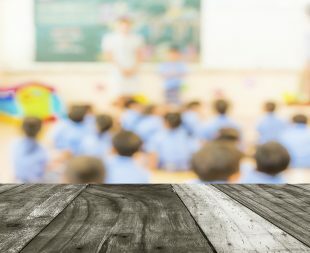 Unauthorised absence during term time doesn’t just have an impact on the child’s education, but also on teachers and other children. While family holidays are enriching experiences, the school year is designed to give families the opportunity for these breaks without having to disrupt their children’s education. The Sutton Trust and Education Endowment Foundation have published a survey of 1,607 teachers on the use of pupil premium funding. It finds that 98% of senior leaders say the pupil premium has allowed them to target resources at raising the attainment of their poorest pupils. However, the report adds that a small number of schools are using this funding to offset budget cuts elsewhere. This story has been picked up by the Mirror, I and Metro and BBC Online. From September all maintained schools will be required to publish their pupil premium strategy on their websites, in place of the current requirement to publish a pupil premium statement. Attainment has risen and the attainment gap between disadvantaged pupils and their peers has narrowed – by 7.1% at Key Stage 2 and 6.6% at Key Stage 4 since 2011, the year the pupil premium was introduced. The pupil premium – worth £2.5 billion this year – is helping the most disadvantaged pupils and closing the attainment gap at both primary and secondary level. We trust schools to use the money to best meet the needs of their pupils and are pleased this report shows the vast majority of school leaders feel they can target it to support their poorest pupils. As we set out in the White Paper, we are taking further action to improve the effectiveness of pupil premium spending and schools continue to be held to account for using the pupil premium effectively through performance tables and Ofsted inspection. We have protected the core schools budget in real terms, so that as pupil numbers increase so will the amount of money in our schools. At the same time we are consulting on a national formula to make funding fairer, and address the historic unfairness in the system so funding is matched to need. BBC Online has reported on an unannounced inspection by Ofsted into Darul Uloom Islamic High School, an independent school in Birmingham, having previously rated the school as Inadequate. Inspectors found leaflets during the inspection which claimed music and dancing were 'acts of the devil'. Inspectors said pupils were not being protected from ‘extreme views’. Nothing is more important than keeping children safe. We are taking unprecedented and direct action across the board to protect children. This includes strengthening our guidance to schools on safeguarding. We are urgently considering the Ofsted report to determine what regulatory action to take. Independent schools are inspected against the tougher Independent School Standards, and where there are concerns a school is failing to meet these standards we will not hesitate to take action. Under the Independent Schools Standards all schools are required to prepare pupils for the opportunities, responsibilities and experiences of life in British society. These leaflets should have no place in any school – and we will not hesitate to take strong action when schools focus on ideological indoctrination rather than a high-quality education. We are urgently investigating the concerning allegations about this school and we commissioned Ofsted to do an unannounced inspection. Extremism has no place in our society and when we find schools promoting twisted ideologies we will not hesitate to take action, including closing the school or working with the police if necessary.